The Anabaptist Family Finder Project concentrates on allowing genealogists to utilize autosomal DNA results from Family Finder to investigate ancestors which were members of Anabaptist groups such as the Amish, Mennonite, River Brethren, and Hutterites. Participants from specific other groups and reference groups such as Swiss and Volga Germans will also be present. This project is separate from the existing Mennonite and Swiss Anabaptist projects to allow those projects to concentrate on group specific surnames/lineages. 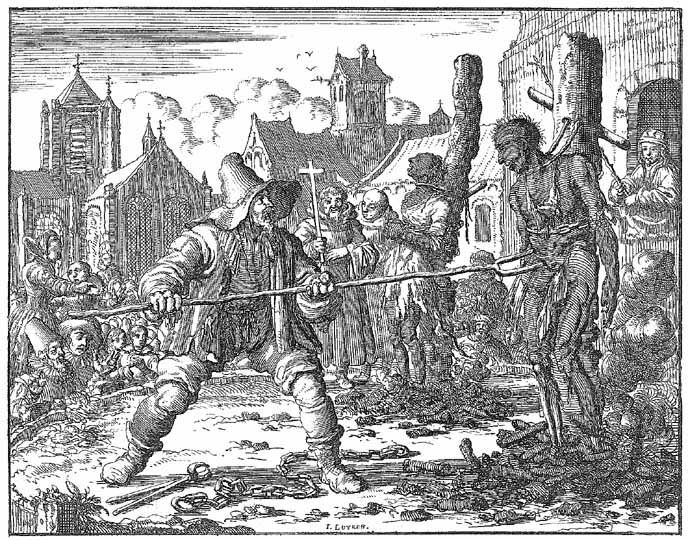 The Anabaptist_FF is open to anyone who knows or suspects that they have Anabaptist ancestors. Participants in this project have the opportunity to submit their Family Finder results to the Wayne Kauffman who will run a comparison against project submitted data acquired from external sources such as 23andMe and Ancestry.com The output of the comparison will be an Excel spreadsheet containing a list of shared individuals between the submitter and all other data files in the project. When submitting Family Finder data for the comparison please provide a) your haplogroup information, and b) some information concerning your Anabaptist ancestors (names & dates). Having this information makes it easier to develop an initial understanding of where the genealogically significant shared segments may originate from. Over all the Anabaptist participants represent a higher level of in-breeding than what is present in the normal population. Multiple occurrences of the same ancestor or family line within an individual's family tree makes it significantly harder to assign inherited segments to specific ancestors. What the inherited homozygeous segments do provide hints on include which geographic set of communities ones ancestors were associated with and with appropriate test results a solid estimate as to when an ancestor left an inclusive (Amish) community. Due to the inbreeding genealogically relevant inherited segments may have originated as far back as 9 to 12 generations ago. Project administrators will not be maintaining pedigrees of project participants due to the increasing number of different lineages represented in the project. To research their genealogically relevant segments project participants should consider utilizing one of several on-line genealogical systems. Some systems specific to the Mennonite lineages include GRANDMA and SAGA. Administrators are available to provide testing guidance based upon your matches and your research goals. If you have not done so, join the project if you have an existing 23andMe or Ancestry.com autosomal test result. You can also join the project by ordering the Family Finder test. Encourage other individuals with Anabaptists present in their family tree to test here at FTDNA as part of the project. Information from cousins can be used to help clarify where some of the inherited DNA may originate from. Autosomal DNA testing which will provide genealogical, historical, and ancestral information relevant to your family tree. One gets matches with other Family Finder testers and an estimate of your ancestral ethnic composition. Transfer your Genographic Project results to FTDNA and join for free! From Geno 2.0: Enter paternal story and send raw data. Your Genographic results can be linked to an existing result or you can order a new test and participate in the project.